A quick post to show you what I had for breakfast this week, besides the usual suspects of bacon and eggs. 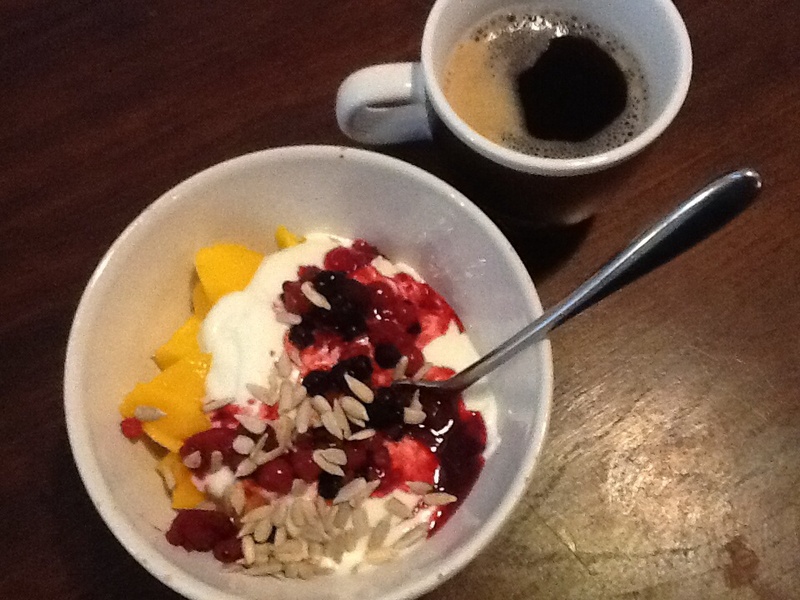 The first is a big bowl of ripe mango, greek yoghurt, red berries and sunflower seeds. Just throw together and enjoy with a big mug of coffee. 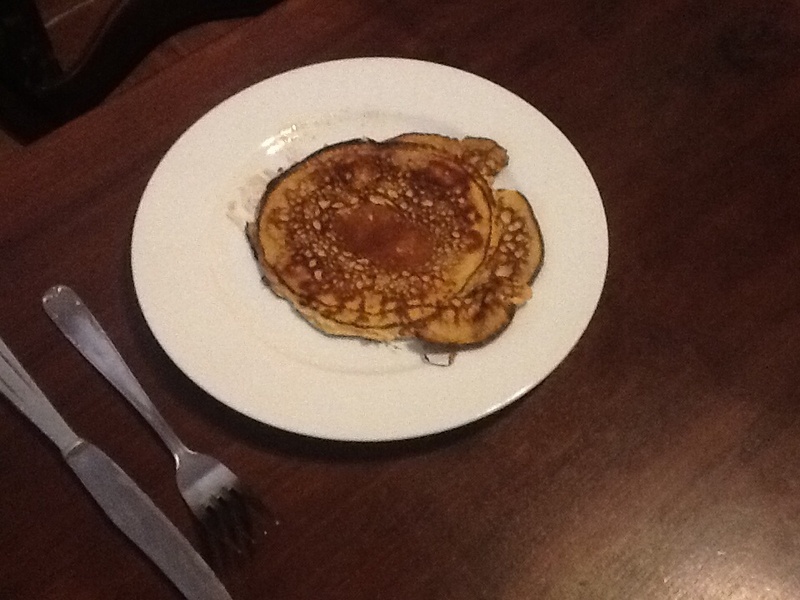 The second one is a banana pancake, made by mixing together an egg, a banana, a pinch of salt and a cup of almond flower in the blender. It bakes beautifully but can fall apart as it did on the picture. Just have a little more patience than I had :). The second one I made, and which I saved for my lovely partner Gert, who has a bit of a grumpy morning temper now and again, held up really well. He went off to work a happy man. Top with cream, berries and seeds for a great, satisfying breakfast that is sweet enough. No sugar needed, I swear. 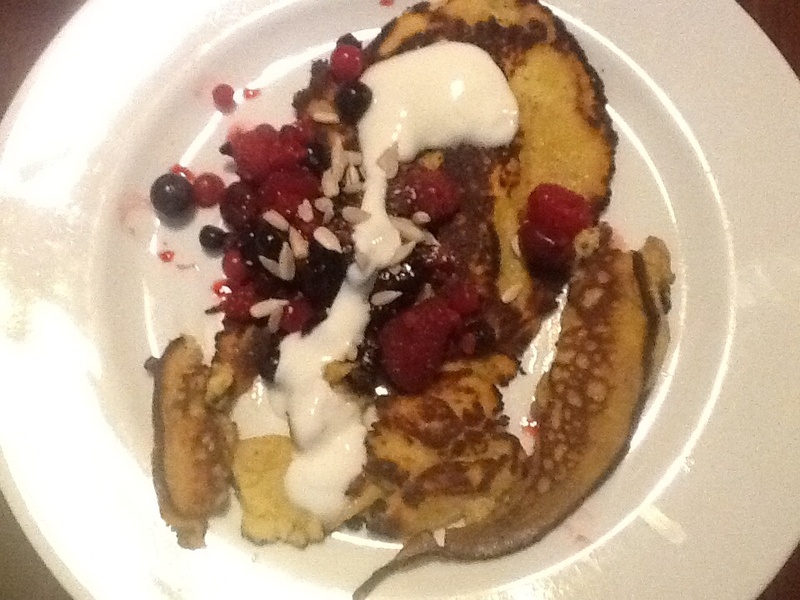 This entry was posted in Breakfast and tagged banana, Breakfast, eggs, Full fat yoghurt, mango, red berries, sunflower seeds on 21 January 2015 by rebeccaverreth.